A great part of using pavers is that it’s a permeable system, meaning that the space will not create water runoff. The water will flow into the paver joints where it will be cleaned by the stone base and return into the ground. It helps keep your driveway and walkways free of ice in the winter which makes it safer for everyone. 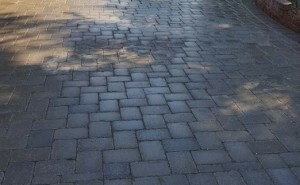 It’s also perfect for driveways, patios and walkways because pavers look elegant and they are easy to maintain too. Call F. A. Hobson Landscaping at 410-739-6800 and let’s build it now and have you ready for that first warm day…!